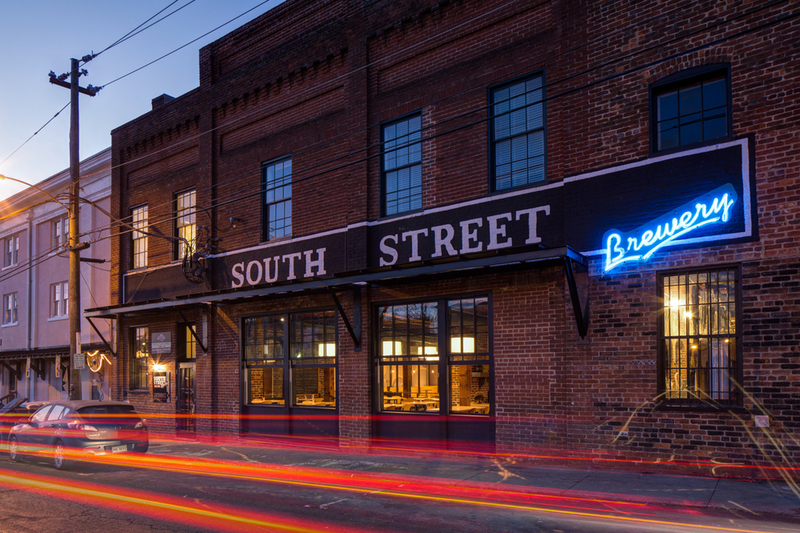 South Street Brewery was a local favorite in the craft brewing scene and a fixture for many who patronized it. When it sold, new owners asked Wolf Ackerman to re-invent its interior and make some exterior changes to its familiar facade. We proceeded carefully, wanting to be respectful of the restaurant’s past while acknowledging the obvious opportunities for change and improvements. Having long been defined by deep solid booths, dim lighting and a lack of daylight - we were challenged by our clients to create a fresh, open and airy space that would feel both new and yet familiar. The fireplace had to stay a focal point. And the rough sawn heavy timber frame needed to remain exposed. But we needed to inject the space with a modern touch to lighten it up and rejuvenate its spirit. We reorganized the entry making a clean line of site for customers upon arrival. 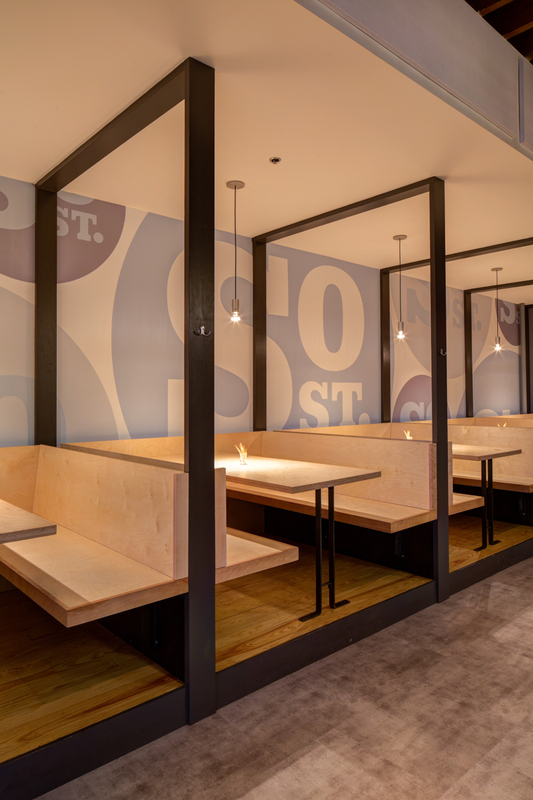 That allowed us to rework interior floor levels and create sought after seating against a new wall of oversized, operable windows that would allow people to engage in a sidewalk cafe culture. With the re-arrangement of floor levels and shifting booths to a perimeter wall - we opened up new dining space. 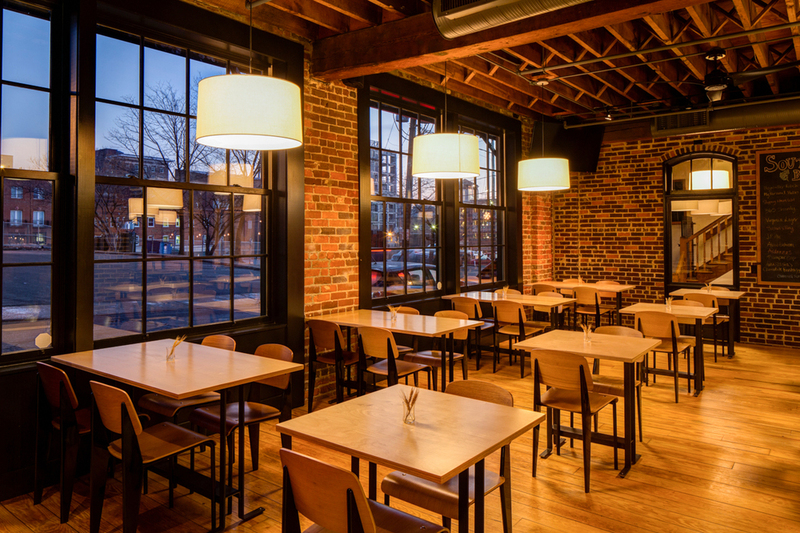 Our firm led the client in the selection of light fixtures and furnishings and designed new custom tables.